General election 2015: how much are the outgoing MPs due to profit on their second homes? The 77 MPs stepping down from office in the general election are due to make millions from their second homes – subsidised by taxpayers. Of the Members of Parliament not standing for re-election in 2015, 31 own a second home - 20 of which are in London. This is often in order to be situated close to Westminster when away from their constituencies. Between them, it is estimated that they will make a profit of at least £10.9m, based on the increase in value of their taxpayer-subsidised properties since 2005. The actual figure is likely to be much higher, as many of the MPs gained office before 2005. 11 of the MPs standing down in this election gained office before 1990, when they were likely to have bought their second home. In the UK, property prices have increased significantly in the last two years - by 7.2 per cent in 2014 and 8.4 percent in 2013 (6.7 and 6.2 respectively when adjusted for inflation), according to the Global Property Guide. This means that each MP will enjoy an average profit of £350,000 since 2005, according to research conducted with online estate agent eMoov. In the same period, the 31 MPs claimed £2.6m in expenses for their capital-gaining second homes. “Yet again, it's clear that the changes made in light of the expenses scandal are simply inadequate. It's crucial that taxpayers are able to trust the system and there remain far too many loopholes. “The Independent Parliamentary Standards Authority (IPSA), the glorified quango in charge of the expenses system, have to be held to account for their failure to address this issue." 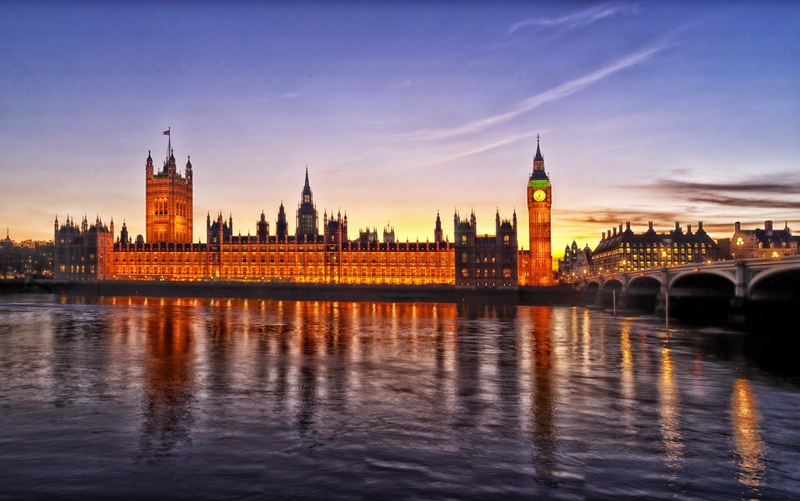 Before the expenses scandal, MPs could claim an additional cost allowance (ACA). This allowed them to claim expenses for the upkeep of their second home. While mortgage interest payments were the largest expenditure for this upkeep, MPs could also claim on council tax; utilities; telephone and telecommunications; repairs, insurance and security; services and maintenance; cleaning and food. Many MPs sold up after the expenses scandal, finding it more convenient to move into rented accommodation for this parliament. As of 2012, MPs were no longer able to claim expenses for mortgage repayments. However, for the estimated 32 outgoing MPs who still have their second homes, hundreds of thousands of pounds could be made by selling their properties once funded by taxpayers. Predicted to be worth an average of £637,963 each, these properties have increased in value by 55 per cent over the last ten years. David Willetts and Brooks Newmark are estimated to enjoy the biggest profits from their second homes if they decide to sell up. Both are stepping down at the upcoming election. Willetts, the former Conservative universities minister, claimed £98,054 on a semi-detached house in Hammersmith between 2005-2012. The house is estimated to have increased in value by £1.88m since 2005. During the last parliament - between 2005 and 2010 - Sir George Young, one of the longest-serving MPs to step down this parliament, claimed a total of £132,282 on his designated second home in Victoria. Since 2005, the average value of a property in Victoria has increased from £357,230 to £861,723, according to eMoov. Such MPs who do sell their second homes are subject to Capital Gains Tax – where they pay 28 per cent on any profits above £11,100. But they would still stand to benefit, to the tune of hundreds of thousands of pounds. Among the MPs standing down who still own a second home, South Suffolk MP Tim Yeo claimed the most expenses. Between 2005-2012, he made claims totalling £133,386 for his Thames-side flat in Westminster. Properties in the same area were valued at £357,230 in 2005, which has since risen to £861,723. There is no requirement to the MPs to pay back the money. Sir George Young, Peter Hain and John Denham are the next highest claimants for their second homes. Peter Hain, Labour MP for Neath, claimed a total of £115,111 on a home in his constituency during the 2005-2010 parliament. Homes there have risen in value from £89,809 in 2005 to £105,373 now. In the past, he has unsuccessfully tried to claim for two constituency homes at once, because of a “change in personal circumstances.” Hain did not respond to requests for comment. Emoov founder Russell Quirk stated: "As someone who takes an active interest in local and national politics, I am appalled that elected representatives are able to make personal gain from public money. "The reform of the expenses system that began in 2010 is not complete until this capital gains anomaly is fixed, as MPs are simply playing the property market at the taxpayer’s expense. "The very same people who are struggling to get on the property ladder are forced unwittingly to give MPs a helping hand from their taxes, and I think that is wrong." Mortgage interest support was ended, and as a transitional measure from May 2010 to August 2012, MPs who were re-elected in 2010 were allowed to continue claiming the cost of mortgage interest payments. This was to give them time to make alternative arrangements. Where the value of the property rose during this period, the MP paid back the capital gain to cover the taxpayer’s share of that increase. We cannot comment about arrangements before Ipsa came into being. As originally reported on with City A.M..